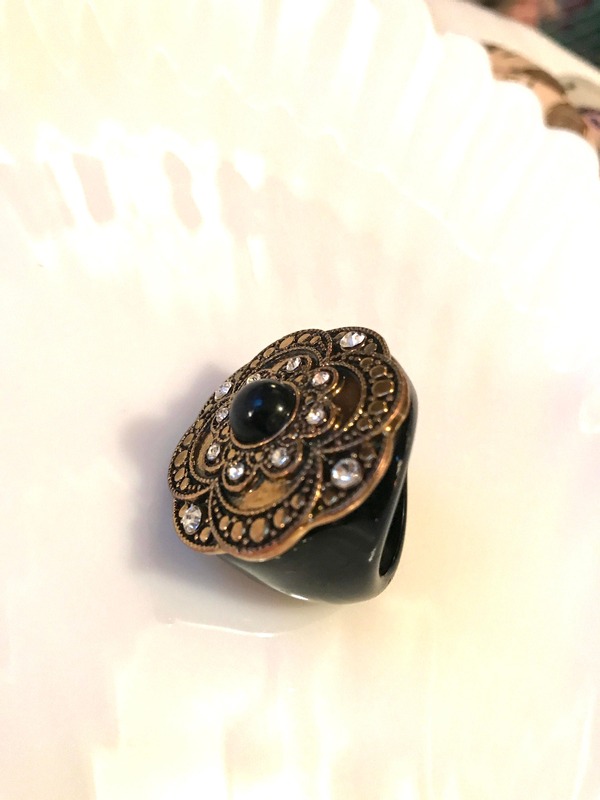 This is a pretty & cool ring - it does have some minor wear on the band that is hard to show in photos - it did polish out to some extent when I did a simple clean & polish - but some of the lacquer is worn on the band but it’s not really noticeable while wearing the bling ring ...I have adjusted my price to reflect this; however. 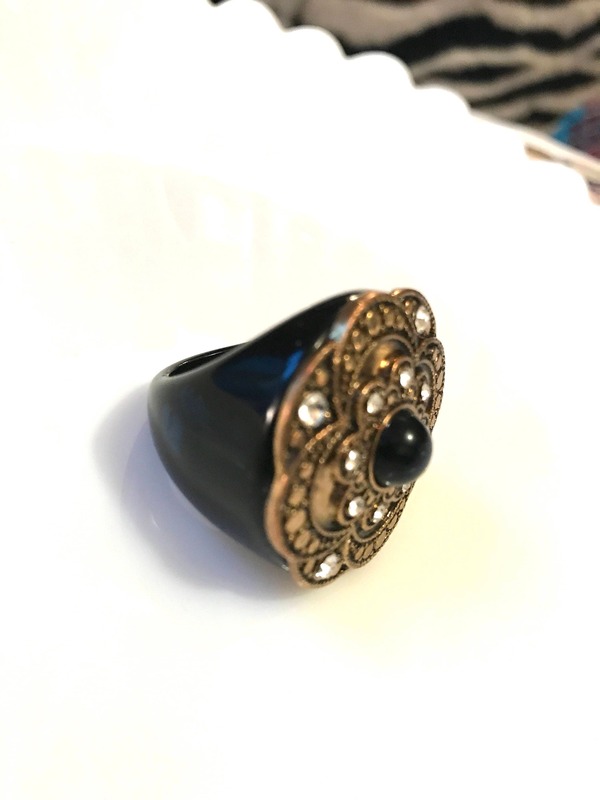 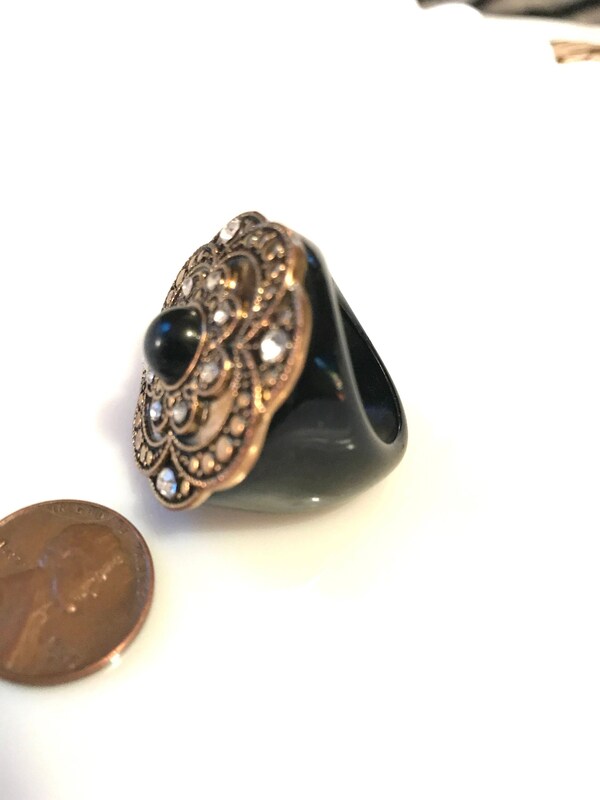 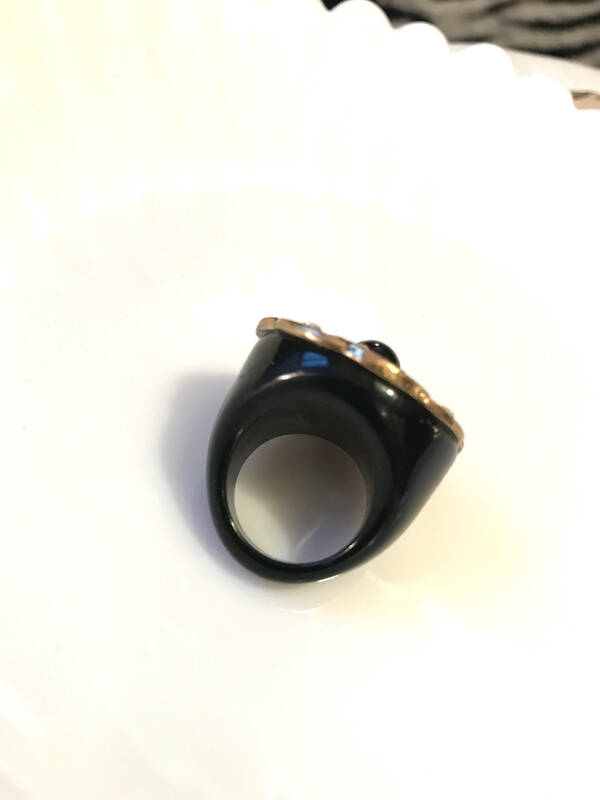 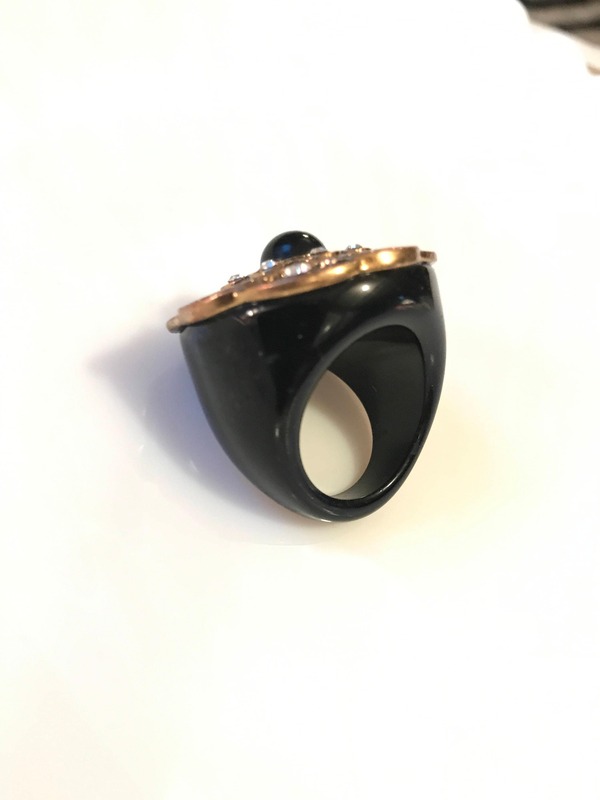 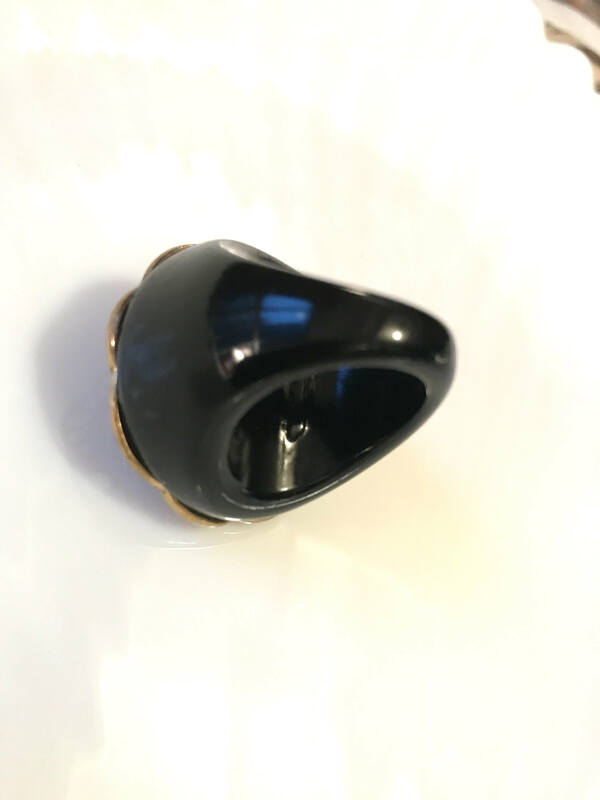 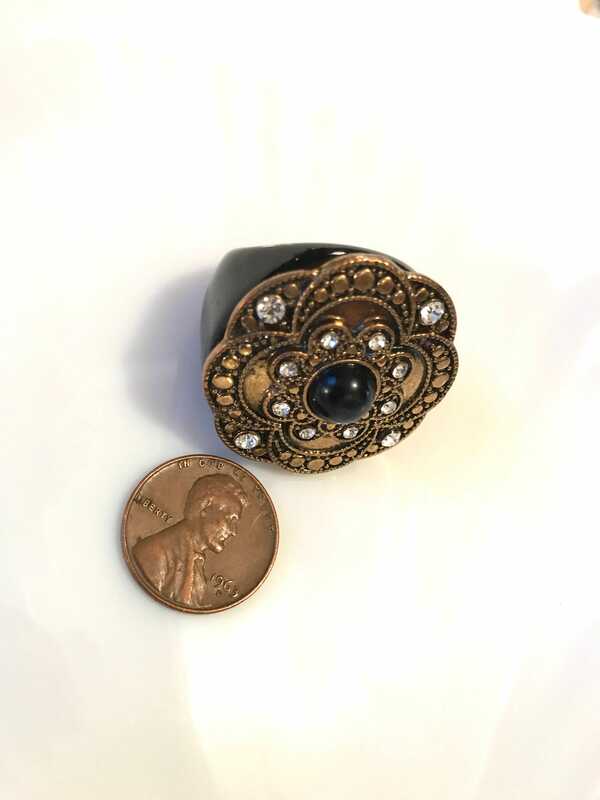 It appears to be a heavy resin or lucite with an additional lacquer coating the design is nice with the center of the ring being the flow through of the black lacquer surrounded by a pretty golden Art Deco/ Nouveau floral design with small inset ice crystal rhinestones. 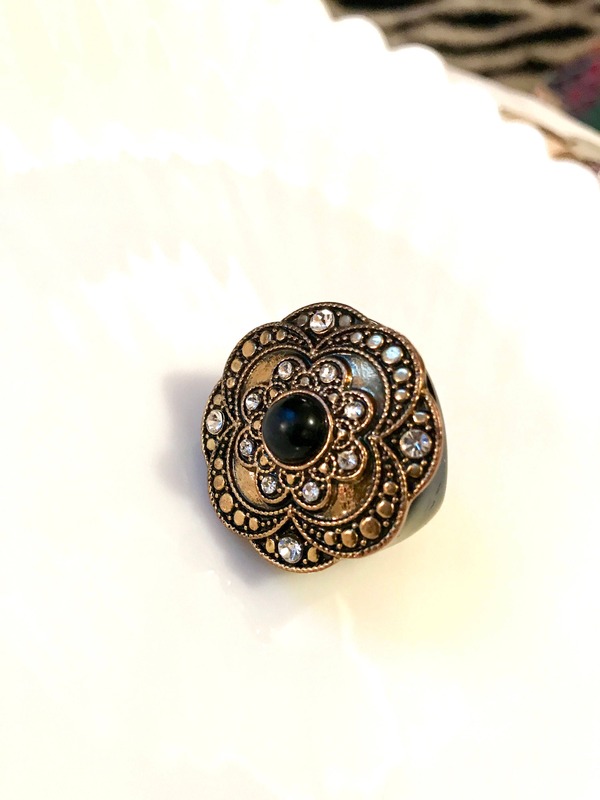 Pretty statement ring. 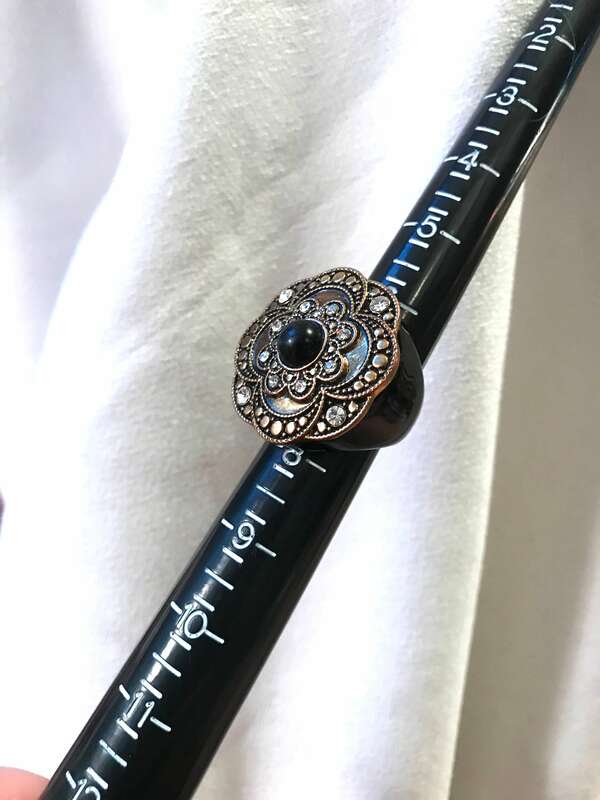 It is not signed.